Plymouth’s newest network has launched! 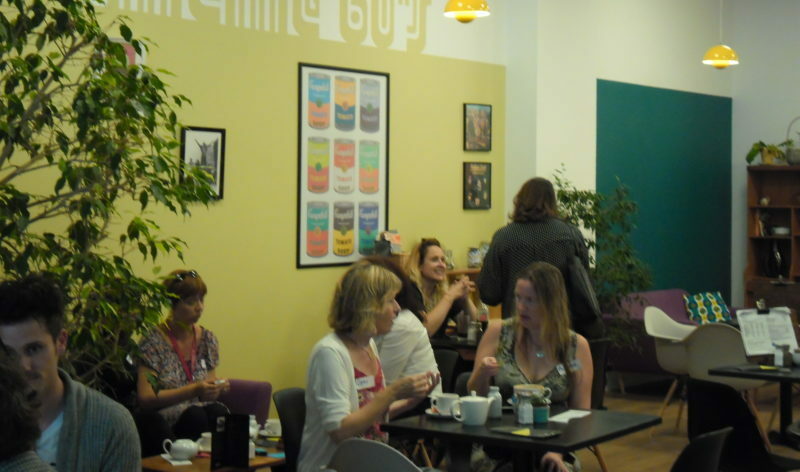 The first ever Starting Post was held on Tuesday 25 July in Moments Cafe, Plymouth. Plymouth’s newest network has launched! The first ever Starting Post, held on Tuesday 25 July, saw us welcome the start-up community to Moments Café for an evening of business networking, inspiring talks, and delicious cake. The packed crowd listened attentively to Bird Sunglasses’ start-up story, and were inspired by their Share Your Sun project, while picking up some really useful tips for any start-up business. From forming an idea, to market research and connecting with suppliers, Ed and Paul’s talk showed that, with a good idea and a lot of hard work, it’s possible to launch a brand that captures the imagination. As well as being treated to a delicious cake, made for us by the team at Moments Café, to help celebrate the launch of Plymouth’s only start-up business network, our audience heard more about our plans for the network and let us know what they would find useful at future events. Overall, it was a brilliant way to launch the Starting Post and we are already looking forward to the next one. Held on the last Tuesday of alternate months, the next events will be on 26 September and 28 November, between 5pm and 7pm. Make sure you don’t miss out and put them in your diaries now!